superdumb supervillain: Stop MRSA Now! MRSA is a potentially life-threatening antibiotic resistant Staph infection that is very important for families to be aware of, especially as the school sport season gets underway. There are easy ways to help prevent the spread of MRSA, including vigilant hand washing and disinfecting of shared equipment and communal surfaces. S.T.O.P. MRSA Now Coalition, Swap Me Sports, professional basketball star Grant Hill, who was affected by MRSA, and The Clorox Company are teaming up to educate families and coaches through Equip Them Well, a program to help teach families and sports teams about practical MRSA prevention steps . 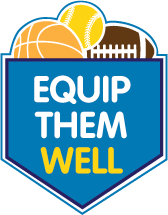 Through the program, parents can also collect, disinfect and donate used youth sports equipment to communities in need. Visit StopMRSANow.org to learn more about MRSA prevention and enter the Equip Them Well sweepstakes to score a chance to win a trip for two to Phoenix for a Suns game and exclusive “meet-and-greet” with Grant Hill. Disclosure: The Clorox Company sent me a press release about the Equip them Well program not intended to solicit product claims. It is not easy to fight against MRSA infection. For each particular case must determine the best mixture of two or more antibiotics, and then hope for the best. The more information we share is greater likelihood that the research progress faster. Greetings!